Looking to promote a particular CPA offer but when you access your affiliate link you see a completely unrelated landing page? That’s most likely because the offer only allows traffic from a specific country. In this post, I will address this exact problem and teach you how to preview a CPA offer even if it’s not allowing the traffic from your country. As you probably know by now, there are several differences between CPA and the traditional affiliate marketing model. What attracts the most people toward promoting CPA offers is the fact that you can get paid even if you don’t sell anything. Many CPA offers pay you for a lead, ZIP code, phone number, free trial, free app install, and so on. However, there are also downsides and I think one of the major disadvantages of the CPA model is the short life span of the offers. While there are CPA offers that have been online for years and are still making money for the publishers, many offers that pay for lead only last several weeks or months. Therefore, if your main focus is to promote sweepstake offers, ZIP submits, or anything that pays you for a free user action, you’ll need to constantly test new offers. Now, here comes one BIG problem. Many good offers may not allow the traffic in your country and when you access your affiliate link in your web browser, you see a totally unrelated landing page. As you can see in the screenshot above, that CPA offer from Peerfly network only allows the traffic from the United States. This means that if you access your affiliate link from a location that’s outside of the US, you are most likely to be automatically redirected to a totally unrelated offer that’s available in your area. CPA networks do that in order to squeeze every penny of their publishers’ traffic. Even if you miraculously get a conversion from the traffic outside of the offer’s GEO, that sale won’t be credited to you by 99% of the networks. There is also the possibility that the offer has expired, the advertiser’s landing page is offline or redirects you to another URL, the landing page URL has been flagged as unsafe and most web browsers won’t allow visitors to access it, etc. Even if the offer is still listed on the CPA network and has an active status, you might end up spending your money on sending traffic to a dead landing page. It took me about 5 minutes to find an offer that’s not available anymore even if it’s still listed on Peerfly. Now, imagine how much money and time I could have wasted trying to promote this offer if I couldn’t have tested the offer’s landing page from the accepted country? 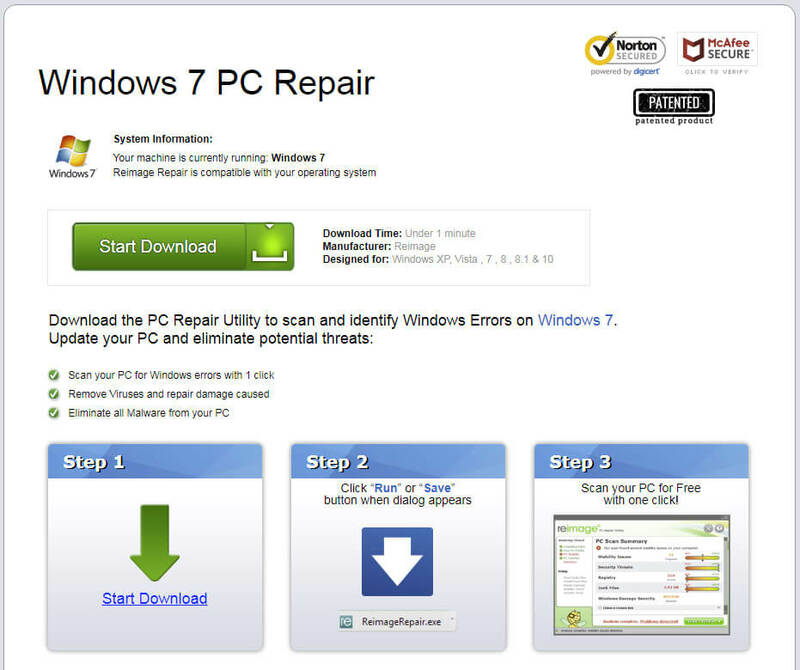 If I access the same affiliate URL with an IP address from the United States, my web browser just redirects me to a “Windows 7 PC Repair” offer. I truly believe that promoting a CPA offer without making sure that the offer’s landing page is still accessible, is pure suicide. The good news is that you don’t have to travel to another country to test the offers that are not available in your location. To preview the CPA offers that are not available in your country, you need to use a VPN (Virtual Private Network) service. A VPN enables you to securely access a private network of web servers and receive an IP address located anywhere in the world. The data sent between your computer and the VPN network is fully encrypted so you don’t have to worry about your privacy. If you didn’t know, it’s also highly recommended to use a VPN service when you log in to a public Wifi network. When you log in to a public Wifi network (like a restaurant, bar, etc. ), your data (login credentials, credit card info, etc.) are exposed to that network and can easily be stolen. A VPN encrypts this sensitive data and protects you from having your personal/company’s information hijacked. Now, let’s get back to the CPA offers. I live in Europe and I promote mostly CPA offers that only accept traffic from the English speaking countries like US, UK, Canada, Australia, and New Zealand. Without a VPN service, it would be impossible for me to preview these offers before I start sending traffic to them. There are many VPN providers, but what I use and recommend is VPN Unlimited. Most of the VPN services require a monthly subscription. However, VPN Unlimited also has a very affordable lifetime plan and which I think is well worth the money. I’m using this service for some time and I’m very happy with the quality of the services and the speed. I have a VPN Unlimited lifetime license, so I don’t have to pay a monthly subscription anymore. VPN Unlimited has 400+ high-speed web servers across 70+ different locations all over the world. With this service, you also have unlimited connection speed and unlimited bandwidth. It’s extremely simple to use this VPN. After you choose your plan, you have to download a software and install it on the devices where you want to use it. You even have the option to install the VPN as a browser extension for Google Chrome, Firefox, and Opera. Just choose your favorite way to use the software from the download page. 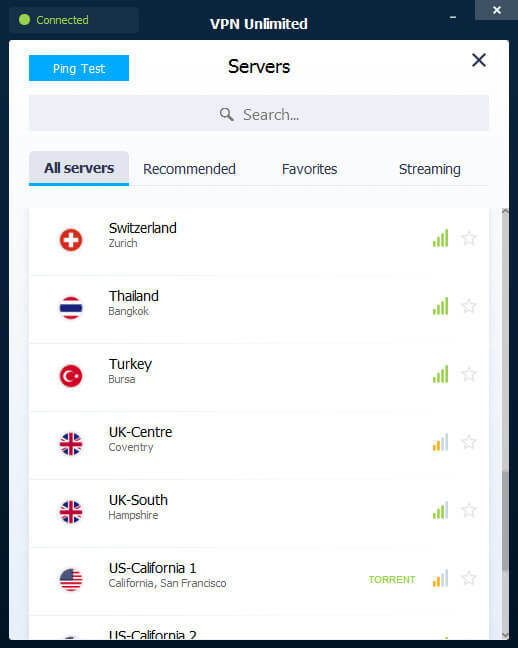 After you install the VPN software, just open it and choose the country you want to connect to from the drop-down list. Currently, there are 70+ locations you can connect to. Here’s my location based on my IP address before activating VPN Unlimited. Now, here’s the location reported by iplocation.net after I connect VPS Unlimited to a server located in US, Las Vegas, Nevada. As you can see, I was able to change the location of my internet connection with one click. 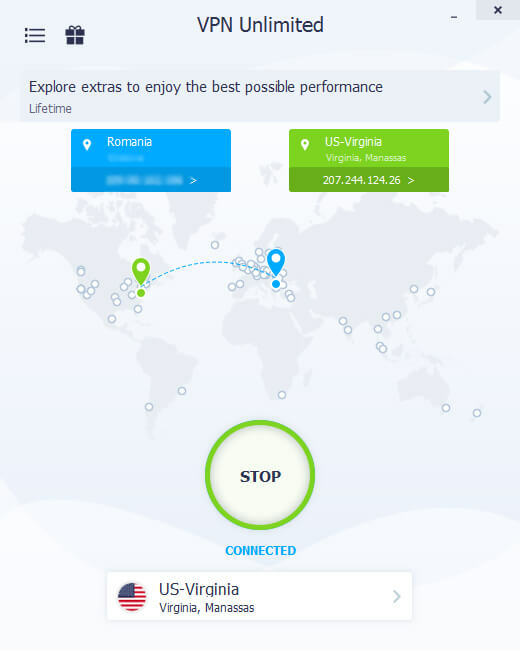 Even if I’m in Romania, I can now preview the landing page of any CPA offer that accepts only traffic from the United States. If I find an offer that only accepts traffic from Canada, I can easily switch the location of VPN Unlimited to Canada. With a single software, I can now connect to over 70 locations across the world. Before I paid for a VPN service, I’ve used several free proxies to preview the landing pages of the CPA offers that were not available in my location. Similar to a VPN, a proxy enables you to mask your computer’s IP address and current location. You might be able to preview the CPA offers in some cases, but most of the times, the free proxies are blocked by the CPA networks, the connection will be extremely slow, or they will simply not work. I’ve tried the free proxies route and I can tell you that is a real pain to find a free proxy that works. You might be able to find several proxies that work for the US or UK, but it will be a real challenge to find one that works for countries like Lithuania, Luxembourg, Latvia, and smaller countries. The free web proxy also have some limitations. My advice for you is to just pay for a VPN service if you’ve decided to start promoting CPA offers. All the time wasted on trying to find a proxy that works is just worth more than the price you’ll pay for the VPN. If you decide to pay for a VPN, I highly recommend you getting the Lifetime plan of VPN Unlimited. This will save you from adding more monthly expenses to your business. The best way to preview country-specific CPA offers is by using a VPN software. Never send traffic to a CPA offer without checking if the offer’s landing page is working properly. The CPA offers become inactive way more often than the traditional CPS affiliate offers you find on marketplaces like ClickBank, JVZoo, ShareASale, etc. Sending your traffic to an untested offer it’s just a sure way of wasting your valuable time and money.